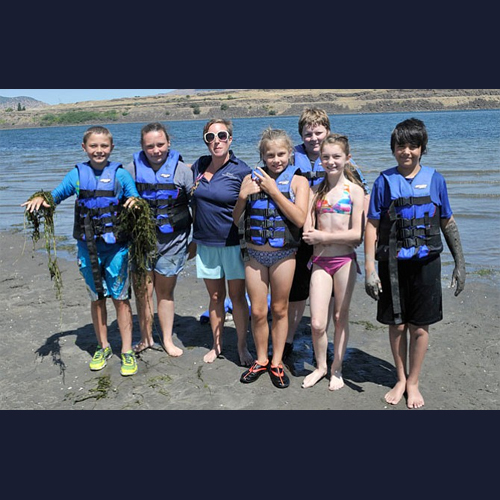 The Northern Wasco Park and Recreation District's kayak camp explored The Columbia River Gorge last week. These campers were taught the history of the river while exploring it. Although high winds cut one of their trips short the campers were able to build important team working skills while on The Columbia River. Read more about these campers below. Beginning Monday morning, campers paddled from Riverfront Park out to the islands. Tuesday’s plan was to go down to the port, dock the kayaks, walk to the Lewis and Clark fort area and learn about the river’s history. However, high winds cut the trip short. The kayak camp is one of many camps offered by parks and recreation this summer. Goonies camp, which is full, takes place July 13-15.